Retirement reception held for Minerva Graham, former Director of NASTUC. New Albany Schools’ Superintendent, Lance Evans, with Minerva Graham. 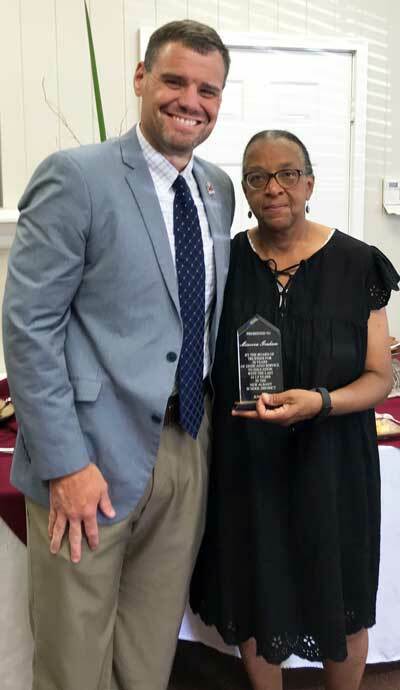 The New Albany School District honored Minerva Graham with a retirement reception on Tuesday, August 7. Graham was presented with a plaque by Lance Evans, Superintendent of Schools. Graham had 14.5 years of service to the New Albany School District where she served as Director of the New Albany South Tippah Union County (NASTUC) Behavioral Management Center.